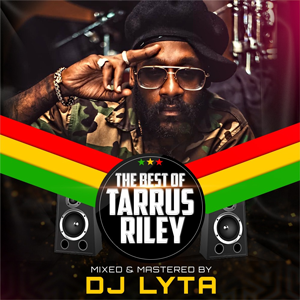 Dj Lyta Best Of Tarrus Riley Mix 2018 Download. This mix features Tarrus Riley hits.Riley started his career in 2005 and has over the years worked in the Reggae genre with labels such as VP and Cannon Productions. Tarrus is a member of the Rastafari Movement and is the son of veteran reggae singer Jimmy Riley. Born in Bronx, New York and raised in Kingston Jamaica, Riley has won a number of awards for his work including Best Singer, Cultural Artiste, Male Vocalist, Best Song, Song of the Year, EME Award, Youth View Award, Reggae Academy Award, and the Star People’s Choice Award. Riley has also won the Jamaica’s CVM TV’s 15 th Anniversary award for the hit “She’s Royal”. Since finding international fame, Riley has toured all over the world including various parts of Europe, The United States, and the Caribbean. He has featured in Major Lazer’s song “Powerful” with Ellie Goulding.